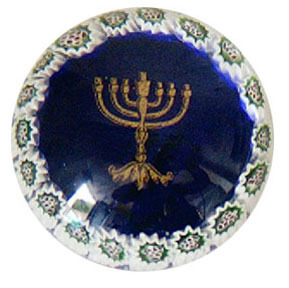 Deep blues with a 24kt gold Menorah in the center, surrounded by the famous Millefiori canes from Murano. Made in Murano and comes with Murano glass guarantee. Size is about 2 3/4" diameter and 1 3/4" tall.